Biomass is a renewable resource that can achieve near-zero or low carbon emissions (supplied proper conversion technologies are used and feed materials are sustainably managed), expanded dependence on biomass in contemporary energy utilization applications is extensively seen as playing an important function in the shift to much more sustainable energy systems. Collected statistics on energy and information in comparative studies hardly ever differentiates between different types of biomass utilization methods. It is challenging to tell from readily obtainable statistics, for example, what %age of the assessed biomass proportion present consists of forest and agricultural waste collected manually by quite small community groups versus massive automated manufacturing of charcoal from natural woodlands to supply whole industries and cities. In general, standard uses of biomass, primarily for food preparation in lots of parts of Africa, Asia, and Latin America, are fairly inefficient and often result in the deficiency of natural deposits. Dependence on biomass fuels can result in logging, for instance, and in doing this can end up being a net source of greenhouse gas emissions. Moreover, in standard applications, the quality of energy utility services supplied using biomass resources (primarily lighting and heating) is generally poor and exacts a high cost in regards to the human striving required to transport the fuel and gather it. This work can have the impact of excluding entire classes of people specifically ladies and young women, from the documented economy. Plus, the health effects related to high levels of domestic air pollution generally pose a certain danger for the most susceptible members of a community (females, children, and the senior citizens). Dependence on biomass fuels using burning can lead to deforestation, for example, and in doing so can become a net additional source of greenhouse gas emissions. In historical applications, the quality of energy supplies offered using biomass resources, those being (mainly lighting and heating), is usually erratic and low quality and exacts a high price in terms of the human exertion required to transfer the fuel and collect it. Dry biomass is quickly saved. And without it, many countries would have to raise their energy imports, and many poor communities would have to use up a higher share of their restricted resources on buying other industrial forms of energy. Development in providing modern-day energy to low population areas has been slower than would be wished, but substantial opportunities exist to improve or displace traditional approaches of making use of biomass energy with attendant advantages in terms of human health and preservation. Different technology alternatives for improving combustion performance and minimizing emissions are available at reasonably modest cost. For example a modern food preparation stove, for example, can yield effectiveness improvements of 10 to 30 percent for an expense of below 10 dollars. Changing from conventional wood and forest material fires to biogas, kerosene, gas (liquid petroleum gas), or even electrical energy can raise cooking stove effectiveness substantially at a cost of below US$ 70 per unit. Modern utilizes of biomass, however, provide a far greater selection of possibilities for decreasing how much we need to use on fossil fuels, cutting greenhouse gas emissions, and furthering the cause of sustainable financial development. A variety of biomass energy technologies, ideal for large-scale and small applications, are available. They may consist of gasification, sanitary land-fill gas, combined heat and power (CHP) (cogeneration) schemes, energy recovery from community solid MSW wastes, or bio-fuels for the transport sector (ethanol and biodiesel). Current interest in biomass energy has concentrated primarily on processing techniques that produce liquid fuels for the vehicle fuel sector. In view of growing issues about global petroleum supply availability and the current degree of absence of diversity in readily available fuel alternatives for the vehicle fuel sector, such fuels represent the most sustainable use of biomass energy at the current time. in the end, the most appealing biomass applications of all are likely to include integrated systems where, for instance, biomass is used as both fuel and feedstock in the co-production of liquid vehicle fuels and electrical energy. 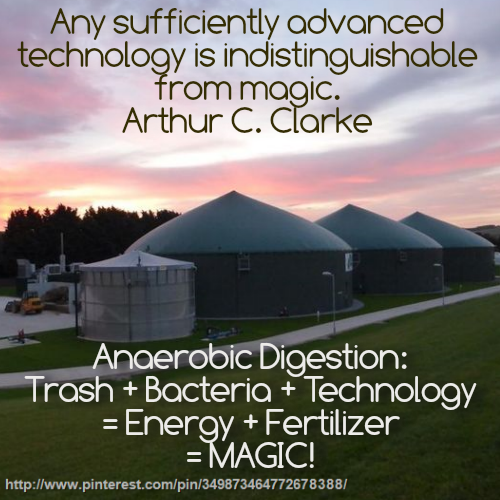 Of all offered choices, Bio-gas energy obtained by the use of the anaerobic digestion process at landfills, wastewater treatment facilities, and animal detritus management projects, is really the best of them. By all accounts specialists who have studied this subject have long thought this to be a fruit ripe for the taking class of alternative, in the context of carbon credits offered through the international Clean Development Mechanism (CDM). This type of biomass energy not only displaces fossil-fuel combustion but decreases emissions of methane, which is a more damaging greenhouse gas than carbon dioxide. Commercially offered technology innovations for converting biomass to usable types of energy differ in regards to scale, fuel quality, and the size of investment needed. Industrial scale technologies that are already on the market consist of fixed-bed combustion, fluidized beds, dust coal, biomass and combustion co-firing, community dry MSW wastes energy recycling as well as several types of systems for gasification, pyrolysis, and so on. Many of these innovations have yet to be made commercially readily available in the young and rapidly growing countries, nevertheless, their markets need financial backing, along with local capacity in their building businesses, if they are to be utilized more extensively.